"Most Comprehensive Complete Content Management Platform"
The interface with social platforms allows managing content across social channels easy and with platforms that others do not. Post straight to Pinterest boards, easy interface with Instagram on mobile, Bloggs, review sites, and much more. The perfect management platform for agencies. Management of links with Web Frames. Sometimes it is difficult to get a hold of support. The Mobile app is difficult to use. Some repetitive tasks could easily be automated to ease completion of tasks. The dashboard can be clunky and not as intuitive as I would like. I called and asked for features that were not currently available and within 1 week, they added 3 of the 4 features I asked for. They offer more social platforms than HootSuite, and sprout social combined. How do we efficiently manage multiple accounts on hundreds of channels? Social Report is a cost effective solution. We are able to manage our clients' feeds and expand platforms to reach audiences on different platforms with the same click and content. "Program and adapt your campaigns in social networks"
I would highlight its high level and development in publication calendars, social listening and high level reports. These three aspects help to make the analysis of social networks much more efficient. Another aspect that I should highlight are the monthly reports, which are sent via email or to the company itself or to the clients. These reports show all the work that has been done during a specific time, so it is really useful for the company to see what results it has obtained, what it should improve or change and also where it has obtained more profitability and on the other hand, when they are sent to the client, he can see all the work that has been done, with many details, so that he can see in which areas he has worked. The additional features that they implement through new updates do not clearly specify them. When a novelty appears within the system you have to test it and review it on your own, to know what change they have introduced and what function they perform that new tool. I think that this could be improved if they added a new explanation in each function or new addition that they introduce in the future. Obtaining information about brands, companies and industries is something that SocialReport can help. Also see the results reports and schedule publications allows you to get more profitability in your campaigns and those of your customers. I recommend it to companies that use different social networks to carry out campaigns. We can easily schedule future publications, it is very easy to leave publications and publish them when you want and the way you have chosen, this allows us not to waste time doing everything manually. In addition, these publications can be previewed in detail before they are published, so that they can be better configured or added before they are scheduled. SocialReport has also managed to get us more information about a specific brand, about the keywords and the target we want to achieve. These extra aids make it possible for us to make more adapted publications. "Best Social Mining, Listening & Publishing Tool Available"
I've spent the last 90 days reviewing the top Social Platforms and so glad I found Social Report. The ease of use of the platform is the most helpful selling feature, I was up and fully white labeled in a day. Search Agents are the best in class. Publishing and Linking Social Profiles are quick and effortless. An individual one on one was not super easy although they respond almost instantly to chat. I probably will need to get more search agents soon and profiles which will be an additional cost but should make financial sense. Not much so for a client with 400 dealers who wants to publish. Can't say enough things about Social Report. Our White Label was set up in a day. The Social Search is on point and does not charge per mention allowing us to do a better job with our clients without the fear running up thousands of dollars of charges for a keyword term that doesn't relate. Social Publishing is actually fun again and a breeze to use. It is easy to customize reports in excel or pdf and automate to clients. I would recommend Social Report to any and every brand, small or large business and definitly agencies. Most companies charge per mention or result as Social Report is unlimited search results so you are really free to explore customer sentiment with keyword phrases. Social Lead Mining is our top priority in 2019. I love the calendar set-up and that the team helps with content generation. So easy to go through and pick and choose what I want to utilize. From there I can schedule it to post for weeks or months at a time. A true set it and forget it system. Such a time saver! Occasionally there's content that's not relevant to my area, but for the most part it works very well for us and we can replace regional specific content with something for our state. Give it a try. If you don't want to use the content provided, it's easy to delete or reschedule it. I do that occasionally, but most often I go with their suggestions and ideas. I would recommend that you take a quick look at articles that are provided within the content. There have been a few that I ended up not using because they promoted a different company and didn't serve our best interest. It helps tremendously with time management! I no longer have to search for hours for social media content. I used to spend multiple hours a week on social media, now, I can set it and forget it adding only when something timely happens. I like how easy it is to be able to queue up so much content over lots of different channels. It is great that you can have evergreen posts so that if you have a busy day and don't get a chance to post, the app will look after it all for you. The calendar gives you a really easy way to view what you have scheduled as well as showing you what has failed to post. The reporting is also great, very clear and easy to use - provides you with so much information to help make decisions around what you post. The suggested past times based on this is also great and has defiantly helped reach more people. I don't like how you cannot do multiple image posts for instagram, only facebook. If you could do that it would make things a lot easier as it would mean I wouldn't have to do multiple posts for instagram. "Great value for spend + awesome features"
Social Report offers a great value for monthly cost. I'm able to do things other platforms charge additional fees for, plus the analytics are incredibly detailed. I often keep Social Report on tap for clients who choose other platforms just to offer additional analytics. Sometimes the appearance can come across as dated. This doesn't impact its effectiveness by any means, but sometimes can interfere with client opinions. This is a great software for teams without being nitpicked for every little feature. If you need a place to host all clients and be able to do pretty much anything on social, this is the software for you, especially if you're a small business looking to get the most bang for your buck. It's not flashy, it's simple BUT effective and useful. I'm able to add unlimited profiles, including those I just want to monitor. This creates a great hub for my office/employees to access all clients without having to log in and out for different systems/softwares. The benefits just keep popping up - from stock photos to design aspects to scheduling and engagement, I love it! "Functional (sometimes) and innovative but ugly." -Is the only platform that allows us the quantity of projects + users we need. -In general, the interface is not very easy or pretty to use, when compared to other platforms. If they can fix all the bugs and maybe step up their design, it'd be a great solution. "Great, full-featured social media management tool"
Being able to create "Projects" to group social media accounts into makes it easy for me to manage client accounts as well as my own without any confusion about which account I'm currently working on. As with any tool, there are a few little quibbles here and there. One thing - I wish the Pinterest posting was more robust and allowed me to choose more than one board when posting. Social Report offers a lot of bang for your buck. It allows me to manage all of my social media in one place and provides good analytics on all of them. It also allows me to easily manage social media for my clients. "Best platform — and we've tried most of them..."
Ease of use. Reporting is easy. Scheduling is simple. It allows us to do everything we need to do for many different clients and customize for each channel. They also get back to us when we have questions or feature requests. The only feature we would like to see added is video scheduling thumbnail support. I'm sure it will be added soon though. There are cheaper options, but make sure your choice is going to be able to keep up with your growth. Social Report offers us an expandable platform and all the features we could ask for and they are continuously adding features and capabilities. We used to use many different methods to post for our clients. Now we have 1 central location for everything that both our team and clients can access, review and approve creatives. "Finally a Social Media Management Software that works and has great analytics!" The analytics are amazing. I was having to use two or three different software programs to do what social report does. It is saving me so much time! We are able to coordinate posts for all of our clients much more efficiently. The accounts are able to be set up easily. The cost is very reasonable compared to other platforms. We had been using Hootsuite and tried several other platforms before finding this one. We are very happy with Social Report after using it for over a month now. We will be staying with them. Not dislike, but could be improved - the cover for the analytics reports are not easy to configure. It would be nice to be able to have a feed view of pages. It would be nice if Instagram could get their act together with being able to let third-party apps connect. I am still having a little trouble getting a few accounts connected due to admin settings. Other than that, I am completely happy with this program. They are a great find! Just do it. It will save you time and money if you manage more than a couple of accounts. It has made my life so much easier! I am loving this program. The platform is very easy to use, even if it's your first time logging on. It breaks down numbers so you can see everything at a glance. I also really like the scheduling feature - makes social media management so easy. I don't like that you took away the 'new followers' number and only left the total number. I wish it would post to instagram without a hassle. Lately things haven't been posting to twitter as they used to. When I schedule a post it shows it should post to twitter and sometimes it does and sometimes it doesn't, even though the account is connected. We can track our money spent on advertising through social media. We can see which kind of posts are doing the best and when the best time to post them is. "Only 3 days in - already love it!" I just am in my trial phase of using the social report and already have recommended it to my colleagues and other friends I know working in social listening/analytics/community management. I have never used a tool that pulled in data from so many external sources and connects to your ads manager and ad campaigns. I work for an agency but have worked on the brand side as well. I have used a plethora of social tools including Salesforce SocialStudio, Sprinklr, Spredfast, Hootesuite, Sprout, Sysomos, and more. Although I really enjoy Spredfast and Sprinklr, they are just not in the budget we have at the moment. The socialreport seems like the absolute best option for the price that i have seen yet. i have read other reviews that talk about difficulty uploading video, which would definitely be a downside if this is true. the layout is a little dated as some said, but then again, its not a huge con to me. Social listening, and intelligence findings. Drawing insights from data that we were not able to pull from other sources. As a social media manager, I've used my fair share of scheduling tools. Social Report takes everything I liked about different sites and combines it into one perfect package. The scheduling tools are the some of the most comprehensive I have come across with the ability to target to a specific audience and view analytics. I also love the option to view ROI, as that is something my clients often want. For all the bells and whistles Social Report offers, the price is extremely affordable. Sometimes I hit a wall where post scheduling is continually unable to upload an image in my media library, but I'm assuming its just a bug. Sign up for the 30 day trial and give it at least 2 weeks - I think it far surpasses other platforms and others will too. "Very easy to use.. saves time and is very reasonably priced"
Marketing is all about the metrics. I hate doing reports. Social Report had turned what was a full week long project into a task of a matter of a couple of hours. To be honest, there isn't really anything I dislike. The biggest dislike was a bug that has since been resolved. I didn't like that when I opened a ticked for it, I was told it wasn't bug. It was a bug. Social Report is definitely ready for Prime Time. In the several months since I have been using it, it has grown and adding additional functionality. The ability to create content groups is huge. Also integration with Google Business is key.. my last platform still does not integrate with GB. It is a main reason for the switch over to SR.
"One of the better social media platforms I have experienced." 1. Pricing if really competitive. Great rates and value, especially when compared to the features provided. 2. The platform feels very mature and well organized. Usually for social media platforms at this price point they feel less polished with less features, but it really feels like an enterprise level offering. 3. There's something for everyone here. Whether you're a company looking to just manage your social channels, or an agency with multiple clients, they scale really well for both. 4. The reporting and analytics are fantastic with Social Report. It was the reason I switched. 1. Wish they had a better preview option when creating posts so that you could actually see what everything looks like as it is on each channel. 2. I'd use brand, client or company instead of "project" for organizing different groups of social channels, or at least give the option of naming that how you'd like. If you are starting your agency or company this is the best platform I've seen in terms of value vs. features and you can't go wrong. I use Social Report for my social media agency clients at this time. I've been happy with what I've seen so far as it provides me an affordable option as a start up to do so. "Awesome social media management made with agencies in mind!" I love that it is so easy to navigate. As a social media manager for an agency, it makes scheduling and managing accounts so easy. I am not entirely fond of the reporting dashboard. It's extremely easy to get a quick look at accounts are performing best and get a quick snapshot but, there are other social management platforms I've used that excel in this area. If you are an agency or manage multiple clients I definitely recommend you try this product before any other platforms you are considering. "Coolest Thing Since Sliced Bread"
I like the fact that I can have various projects and be able to schedule everyone's post how they need to be. I also like that I can setup keywords/hashtags that I want to follow to determine if I need to switch out the hashtags I'm using to help with the overall reach. I dislike at times how when I post it won't post to Facebook. I'm still working out the kinks so that the posts will post to Facebook and not just Instagram and Twitter. At times it will tell me my scheduled post has posted when it hasn't. The benefits outweigh the cost. It's the best investment that you will ever make. What are you waiting on to switch? Detailed analytics. I am able to see how well things are really going compared to Hootsuite and other platforms. It helps me get the right information to my clients at the end of the month when putting together their month end analytics reports. "Enterprise functionality, but at a reasonable cost"
The team at SocialReport have put a lot of thinking into their design (to make this easy) and their functionality (to automate the features that would really help most). They have some useful training videos, but it wouldn't be too hard to add a lot more. I am all in favour of self service and if there were more video to help with the more details functions then this would really help. Integrations with other tools would also help. I would never fully automate my social feed, but being able to automate the content sourcing, as well as some of the hashtag insertion and attribution, really cuts down the time it takes to share great content. From one Twitter account alone I have been achieving a sustained 30-day reach of almost 14 million, using SocialReport almost exclusively. "Excellent Product & Offering w/ A Competitive Price"
I had recently been looking for a new social management, reporting, and marketing application to use for my client's accounts, which would allow me to expand my offering and ability to take on more. This was an enormous solution at a price that I could afford. I tested many other options and found that they either lacked key elements that were associated with other products or pricing was aimed at larger agencies. I stumbled upon Social Report and was pleasantly surprised at its capabilities, especially among the number of platforms is interacts with. The product offers a lot of opportunities, but there are some things that are lacking, like the mobile application. The mobile app tends to be glitchy and crashes, but the browser version makes up for it. If you're looking for a straight-forward platform that doesn't have the "sales-y" bells & whistles of the bigger brands, this is for you. I really enjoy that Social Report goes beyond the create & post platform. It offers the ability to create automation which is great for us. We spend less time monitoring our client's pages and interacting with their audience one-by-one with automated interactions. Additionally, the ability to create Search Agents has expanded our ability to monitor client brands across platforms and outside of our monitored networks. "A Great Timesaver for complete Social Media Management!" Social Report's calendar layout makes it convenient to schedule posts, switch between projects, have our clients review and approve their posts, and by utilizing the Evergreen feature, we are able to get the most out of the posts that matter. The customer service is also top notch! I would like to see more integration specifically for posting videos with customization options. If you are looking to save time on your social media, I would highly recommend Social Report. Not only is it easy to use, but their customer service is prompt and personal. We are able to manage multiple clients social media pages with ease. This is the first social media management platform we have found that does everything we need. "Great Value Product for Social Posting, Reporting, and Analyzing Results"
There are so many terrific features to Social Report, it's hard to pick just one that I like best. For example, their publishing calendar is the best I've seen available. Social Report pretty much pioneered the publishing calendar as it stands right now (we've been using it for a lot of years). Their competitors seem to use Social Report as the benchmark to try to catch up to. In other words, Social Report always seems to be several steps ahead of the competition, consistently adding additional features to their product that either improve the user's experience, allow us to get more analytical, or simply to add additional value to the product. The scheduling of report generation for clients is very valuable to us, the scheduling of evergreen posts and their built-in link framing tool are also key features that we really value. I don't think there's anything that I dislike. We've been using SR for 3+ years, and at first it was a bit confusing, but that was years ago. Now, it's much more intuitive. The user interface is very powerful, and I have to admit, we don't take advantage of nearly all the benefits it offers. I think Social Report is probably one of the most powerful social media posting and reporting softwares available. I know it was when we started using it. I highly recommend it to anyone who is interested in either demonstrating the work they've put into social media management, or showing the results of your efforts. My clients like to see a monthly report - we create several monthly reports for each client, all of which are generated automatically and emailed to me at the beginning of each month. I simply download them and then forward on to the client. Some are more detailed than others, and they are decipherable by the average business owner. We also use SR for scheduling out future posting as much as impulsive, last-minute posting. I'm very picky about how a post appears on a page, and SR allows me to see what the post will look like before it's published, allowing me to change images if I want. That the platforms allows you to set up multiple projects for different brands or projects under one overall account. Social Report has the ability to assign user roles and approval and reviews. They offer nonprofit pricing to nonprofits. We can assign volunteers roles to specific projects and social media profiles, and have it all be reviewed centrally for approval. Reporting features are helpful — and can also provide combined reports on all projects by creating an overall Project with all social media profiles listed there which will provide an overall snapshot of all social media activities. Would like to be able to hide, ban or delete comments from Social Report where appropriate, have to log in to the social media platform to do this, although it doesn't happen too often. If you make edits to the automatic Facebook post, such as the auto image, lead in and title, Social Report will replace your display URL with a shortened URL, however a plus is that Social Report does let you edit the image uploaded and the title and descriptive text and lead-in, which you cannot do when posting straight from Facebook. Social Report has a great customer support team. They are very responsive to communications and seek to help resolve any issues with the platform. It's a great platform if you have multiple brands or projects to manage. Consolidation of social media posting, versatile across many platforms. Not having to use numerous usernames and passwords to log in to dozens of social media profiles to manage them. It has all the features to track performance of social Media. Scheduling feature is very helpful. Reporting format is spot on and on a single page gives you details of all the sections. With time they keep on adding new features.We can even edit the images before posting. Drag and drop calendar features make life easy. User Interface can be improved a little. Search for features will become more easier by that. Customer support is polite but still I feel a bit improvement is needed. Has definitely made things easier for us. Social Reporting isn't our primary target and still this has improved life so that tells a lot about it. New additional features from time to time will be helpful as well. UI needs improvement and I'm sure if they keep improving, the tool is headed in the right direction. Use of Social Media is not our primary requirement so not everyone was interested in doing that. This tool is easy to use so people take turn using this & so far minimal complaints are there. Image editing is easier so don;t need any third party assistance for doing that. From time to time the analytics report come handy. We could do without this tool also but there was fighting amongst team members who'd be the one doing this. Thankfully after this we have solved this issue so that's the biggest plus as far as I can tell. From a single platform we could manage all the other platforms so quite frankly there isn't much to complain. Cheers. It's very easy to publish to the different platforms. Easy to schedule posts, upload photos and see all insights of the different platforms together, including our Google Analytics is so helpful and saves me time. Sometimes based on my photo size it's challenging to post to Instagram. I highly recommend Social Report for your publishing needs. It's easy to use, priced right, and gives you the analytical reporting to see your progress and data. Social Report has made themselves my one-stop-shop for publishing and reviewing insights so I can share with my Executive Group. The biggest benefit is the ease of use and my time. If I can make it happen easily while saving myself work, then I am all for it! "Some Kinks but Great Possibilities"
I love the way that content is classified and the evergreen repository makes it so easy to auto-schedule messages. The metrics don't always match up to the reports that we have in Google Analytics, sometimes we can figure it out and other times we cannot. If you want to get on a great tool that's flexible and going places, this is it but don't expect it to be 100% perfect in every avenue because no tool is. We have a great deal of content and new stuff being posted every day. I think our social team has realized that promoting new content with a mix of old is the best way to get Social Report to do the work for us that we were previously doing by hand. "Comprehensive Tool - Constantly Amazes Me"
After being a Hootsuite and Buffer user for years, SocialReport has changed the way our team does business. I originally made the switch because I needed something with more robust reporting tools that didn't cost an arm and a leg. While this tool is still an investment I make each month, I was surprised to realize I could get rid of those other programs I was using for scheduling posts, curating content, and managing my team's posts. I feel like every week or so I discover a new feature the software offers. There is a lot going on in this tool (lots of menus), but it also does a lot too. They've done a good job keeping things organized so once you learn the way the menus work, it's pretty intuitive to find what you're looking for. I wish the reporting tool allowed you to select which pages/profiles you want included. For example, if I add peers' or competitors' FB pages into my project, ALL of those pages' info is included in reports, when I may only want to see MY Facebook pages' info. I feel like this is something that would be simple to do, and it would add a lot of value. I also wish there was a way to post to individual Facebook profiles (people, not page) and specify which group of friends you want to send to. For example, I have a group of just business contacts, rather than all of my friends and family, that I would send to via social report if I could specify. Also, recently I haven't been able to toggle between content groups as easily. Something changed and it adds a few extra steps, which seems unnecessary and is annoying. If you're looking for a robust scheduling tool that also has awesome analytics/reporting, this is the one to go with. If you have a team, then, you'll love it too! It feels a little confusing because there are so many menus and options, but once you dig in, you realize that it has so many options because it has so much capability! Reporting - wows our clients and gives us great insights! Scheduling - great tools for scheduling, repeating posts, sending posts to specific profiles or combos of profiles. Automation - love the automation options for Twitter and Instagram you provide! "The good way to monitor Social medias"
In the fast world, there are so many social medias introduce by various team for various purpose. This platform is helping to monitor most of the popular social medias. There fore, it is a good way to monitor the social media. Social media in the sense, it is not only entertain by individuals, but it will use by organizations also. As long as, social media is used to connect the customers, clients, suppliers, as well as competitors also. There fore as an organization, it has to control to maintain the privacy. For that, this platform is helping very well, in good manner. This platform is covering most of the social media. Even though, when compare with other Social media monitoring system, it is not covering all over the social medias. And price wise also, it is bit high price has been coated. It is little uncomfortable for the clients. It is a great way to monitor the social media, which you are operating, and a good analytical platform to run the successful business, by knowing about competitors movement via social media. it is help to monitor the all the major social media, like, facebook, twitter, linkedin. instragram, so on. and also, it is helpful see at a glans, facebook pages, twitter profiles for the valuable reviews,. And also, we can quickly and easily organize, the reviews and the customer feedback, with in short period. Further, it is able to track our profile search history as well as competitor profile history. In that, way it is a great analysis platform for run the successful business. I really like how easy it is to use and how easy it is to understand. It is intuitive and capable of large workloads with minimal effort. Social Report has simplified social media management, to where even the least experienced individuals and can get up and go like an experienced professional. One of the many built-in features is the bulk scheduler, which helps populate social media feeds such as Facebook or LinkedIn by allowing me to very easily import from various RSS feeds or other social media profiles of related interest, generating an even more engaging and interactive environment for consumers. 10/10. The only thing that I found so far was the limited number of extensions, I personally enjoy using Safari, a web browser that currently does not have an extension. But, I was informed that they are currently looking into this. I would suggest taking full advantage of the Free Trial for Social Report first and play around with the settings. You can find several built-in tutorials and also ask for help with a generally quick response. Social Report is allowing me to make more time for myself and my family, literally saving me hours of labor. This web application is changing how I look at social media management, while also allowing me to interact with consumers on a larger scale in one convenient place. What I like best about Social Report is that it is extremely easy to use to publish and schedule posts, yet it is quite complex in the level of analytics and reporting. The number of supported social platforms is as comprehensive as any enterprise solution and the ability to share across platforms is extremely easy. There are many built in capabilities to utilize advanced engagement and SEO . Plus, the ability to create keyword searches and brand research can provide an enormous amount of business intelligence. I would like to see a simpler interface for monitoring social channels. It would also be helpful to have more tutorial knowledge in the help center. 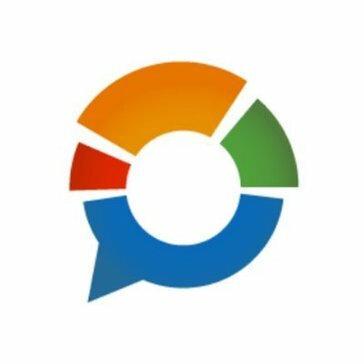 If you are looking for a very, high-powered social management tool for a price that is affordable for the small business, Social Report is the best solution I have found in over 5 years of using similar tools. Social Report helps me manage multiple clients simultaneously with relative ease. It helps me to leverage similar data but to keep each account distinctly separate. This tool has allowed me to be a better consult for my clients by providing more information about not only their brand but the keywords in their industry and their competition. I can create regularly scheduled reports that can sent automatically to my team and my clients, as well as creating custom reports for one-time or continuous use. I love that I can publish content to all of our social media channels at once. I love that I can monitor by channel, that I can create content groups to organize my content and social media campaigns. I love that I can collaborate with my team in one simple tool. API integration with Instagram seems buggy to me - I often have to reconnect my Instagram account after a failed publication. I also run into issues publishing to Facebook groups, due to Facebook constantly changing their publication requirements. I wish there were a better way to host images/batch upload images within social report, rather than having to host images elsewhere. It's absolutely worth checking out the free trial of Social Report to see how you like it. Using Social Report for a week will give you a great glimpse of what it will be like to use it on a daily basis. I have been so happy with Social Report for all of our Social Media management needs. It has been a vast improvement over our old system and has been a huge asset to our organization. This is our all-in-one social media management tool. Social Report means I can bulk schedule a year's worth of content in one simple upload. It means I can monitor a post's performance across various platforms. It means I can interact with people, share, and analyze all in one tool. Gives you access to a plethora of social media management tools making it much easier to handle social media marketing projects. I like the fact that even at the lowest price to opt in, you can get access to up to 5 projects. This allows for quite a bit of workload. The ease in which you can add accounts is also comforting. I've used other platforms for handling social media posting and sometimes it can be very difficult, so knowing how easy this was will make it hard to persuade me to use other platforms unless they can match this level of ease. Some of the tools are a bit limited, honestly they could be more giving at each price point. When I have more clients and can afford the higher tier, I'm hoping this will alleviate these restrictions. Also, the reporting system is more complicated than it needs to be, IF it were more simplified with the option for advanced features, I think it would become more user friendly. I would say they are more valuable when handling multiple accounts. Currently only handling one. I am utilizing them as a small social media marketing agency handling the content posting for a singular client at the moment. This has helped me in scheduling content, reviewing this content based on the type of post as well as reviewing with my client so that they can understand how to best move forward. "Tried out TONS of Suites.....went with the best!" I love Social Report and I can't understand how I survived as a social media manager without it. I love being able to post video directly to Instagram! Some of my other favorite features are how easy it is to add team members, the reporting features such as auto reporting to clients, and evergreen posts. The feature that I didn't think I would use but it has turned out to be my top 3 fav features are the link frames I can place on articles and blogs that I link to that keep my clients brand in front of the reader. There's not really anything i dislike. I haven't had too much success with the app but I wouldn't really use it a ton anyway. If there was a feature I could add it would be keyword research tools to help me with writing posts. I spent a month trying out other suites. There were others that I liked and others that were highly recommended. I ended up making a spreadsheet of suites with features and at the end of the month social report had everything that was important to me for the best price. Social Report helps my business and my clients with accurate reporting, efficiency in posting, and has reduced the stress of managing multiple profiles. "Best social media monitoring "
We have used a competitor's software for more than a year. It lacked the ability to "listen" and track analytics in an in-depth way. Social Report changed all of that for us on DAY ONE of the trial! We now have a better grasp of how each post performs, what our audiences like and what makes them engage. There's not much I dislike; however, I did have trouble with the syndicated content. Try the trial. You will be convinced after one week when you see your numbers change. We are learning how to best engage our audience. We were able to move native video to all platforms instead of using a video link. This move has allowed us to increase engagement. It also gives a good look at our demographics across platforms. We're now able to focus our efforts on the platforms with the most promise without ignoring the others. "Streamline and simplify your life!" I like the ease of being able to use one scheduling program for all of my platforms. It is great how easy it is to customize for Instagram and Twitter. I also like how I can hashtag and directly tag people from Social Report! I love the analytics compoenent of this platform. It makes it easy to see what provokes good engagmenet. It is great when presenting information to managers or other indiviuals on how your platforms are performing! I have not found anything I feel strongly about disliking. I sometimes find it easier to post on the platform for formatting reasons in Instagram. The support and help on Social Report is fantastic! Whenever I have a question, I know someone will be able to help me in a VERY timely fashion! I also love the blog postings that they have available to everyone. It is a great way to stay informed and up to date! This helps me plan out in advance along with having fantastic analytics! "After trying several others - I've found the best solution for me!" The reporting capability of social report saves me hours of downloading and manipulating data to get what I need. I love that everything for each platform is accessible in one place. I love the evergreen functionality which will greatly impact my time in a positive way the longer I use it! The support is amazing - no question to big or too small - knowledgeable and friendly support available all the time. The cost is reasonable for the benefits I see. I;d love to be able to choose a different image for a single message for each platform - for example - a different image size for Facebook, LinkedIn and Twitter. I see announcements about new capabilities (like Insta grid preview) - but they often come without instructions on how to access them. I have to hunt. I have been unashamedly recommending Social Report to anyone who asks, "Which one should I use" since about day 2 of my trial! It''s incredible functionality will actually save me time, allow me to report to our funders in a timely manner with real, measurable and attributable data. Simple setup, simple use, certainly not simple results! Social report allows more accurate and definable measurements of my social media effectiveness! As a small not for profit - Social Report has given me a real ability to measure and report on our community engagement! I like that the projects are separated and the reports that are built for each project. I also like the customer service and the amount of help that they are able to provide! I also love the bulk scheduling tool. This saves a lot of time on the day to day posting that social media managers often do. By getting things scheduled and out of the way, this allows for better reactive posting. Well worth the money if you company is trying to simplify social media campaigns. I think that there are a few glitches in the system still but normally it is fixed once you sign in and sign back out. I wish that there was also an ability to post videos via bulk scheduler but I understand that are limitations to what you guys are able to do. Sometimes when you drag a picture into social report the quality of the picture goes down but I am not exactly sure why this is the case. Another feature that needs improving is the social inbox. The way that it is setup currently makes it hard to respond or understand the context of the issue or question someone has on social media. There needs to be a format setup that is more similar to the social media platforms themselves rather than list form. Being able to remain consistent on social media platforms and report growth and engagement levels to determine what works best for our industry. This also allows us to run our online sales promotions and to better track the click through rates on various posts that we are doing company wide. "I love how user friendly social report is! " I like that Social Report will create full reports for me! They look like I've spent a lot of time on them. I also love that I can schedule for all of my accounts. Pinterest can be so hard to keep up with, and SR has been my saving grace! I don't have any complaints. I wish when scheduling IG posts I could tag within the photo rather than the caption... but that's a feature IG doesn't allow. So, I guess I'd say I'm 100% pleased!! Do it! You will save yourself so much time and all the headaches of wondering if your strategy is working. Social report allows me to give myself permission to scrap my bad ideas and strategies because the analytics are so comprehensive! I save so much time by scheduling my posts! I have so much more time to create quality engaging content. With that extra time I'm able to dive in deeper to the analytics and make sure what I'm doing is workign! "Great application for managing multiple clients' social media accounts"
You can toggle between client accounts, as well as different businesses. This makes it easy to make blanket posts across all forms of social media. The calendar visual allows for easy social media managing and planning. To post to Instagram, you get a reminder on your phone and have to log into the business account to post. Recently Social Report came out with a "fix" for this, an automatic posting. However, this doesn't work very well if the image you are posting on Instagram ISN'T square. If you have multiple accounts, with multiple businesses, this is the way to go. Quickly posting to all forms of social media from one platform. The approval process allows for several proofing rounds before the content goes public. "Great Tool that Combines Scheduling, Reporting, Listening in One Platform"
Love the ability to create content groups that allows me to categorize my posts by subject matter. This is THE reason I landed with Social Report. I haven't seen any other platform offer a similar interface. 2nd benefit, Social Report is very reasonably priced. Other tools are way overpriced for companies with huge budgets. Social Report is very affordable and offers quite a lot of reporting to go along with their scheduling tools. 3rd benefit is that Social Report covers the platforms that matter to us. Also, Customer Support is beyond amazing. They seem like a smaller team that really wants to help their customer succeed. Reporting seems inconsistent with other sources, like they don't have access to the full set of analytics available from the source platform. e.g, LinkedIn engagment doesn' include all types of interactions... only certain kinds of clicks. I don't love the media monitoring aspect of Social Report. The feed is diffictult to follow and seems to have a significant delay. Also, I cant easily share/retweet content from the monitoring tool. I find that I have to do this in the native platforms, still, which reduces my ability to report on those actions. In my situation I need to break down engagement with on company with 3 distinct components, each voice further subdivided into subtopics. Social Report is the ONLY tool that provides me with the means to report on social in this way. "Great For Simple Management of Content Promotion on Multiple Channels"
I love how quick and easy it is to create posts appropriate for multiple channels, especially Facebook and Twitter. It even allows you to create Instagram posts, and then emails it to you on schedule so you have the text and photo handy to post from your phone. There are a ton of options for scheduling and presenting posts. Also, you can put posts into "Content Groups," however it makes sense for your business or pages, which is particularly powerful for analytics. You can see which types of content resonate best with the audience, where the engagement is, and learn what to ditch and where new opportunities lie. It's hard to tag other pages in posts, and there's not a great preview to see what scheduled posts will look when they go live. So far the posts have looked fine, but I like to triple check everything before it goes out on a page. Efficiency is the number one benefit. We've tried other tools and systems for managing social content and monitoring, and this is so far the best. Requires less steps and I can get it done faster, which is good when you are creating daily posts across 3 channels - or more. Highly recommend for social media managers working with high volumes of content. Also, there are great options for creating posting schedules, queues and evergreen posts - which means you can set it and forget it and keep your content in front of users. "Great tool for posting for business accounts!" The ease at which social report allows me to post social media for my businesses is amazing! I really like the options for which I can post, and the user-friendly reporting analytics that help me relay the information to my clients. The only issue that I do not like is the app doesn't recognize my iPod 5, I assume since it is older. It doesn't keep the notifications in the app, but it does connect to instagram through the iPod itself, so it still offers app options. I would highly recommend Social Report to anyone looking to post to multiple social media accounts in a timely fashion. The analytics are easy to understand, offer great filter options to dial down to what your client is looking for, and are available at any time. The customer service is quick and always ready to solve any problems that arise. The problems that we solve with Social Report is having the ability to share analytics with clients in an easy to present manner. Also, the ability to post content repeatedly with the Evergreen feature is a excellent tool as well. The program is user friendly and the support staff is available to help at all times. You can tell that the company tries very hard to keep their customers happy and are willing to take the extra step to ensure great customer service. I also found the mobile app very useful and efficient that I am able to use it on many platforms. The only issue I have discovered while using the program is the amount of time it takes to upload multiple pictures. Uploading 1 picture is easy and fast but if you need to upload 2 or 3 or even a whole album, it is usually easier to upload directly on the social media site instead of through Social Report. Although, the mobile app is very useful, if the app could have more features similar to the website that would make it easier to use on the go. The company I work for is striving to be socially connected worldwide so minimally posting 3-4 posts to facebook and instagram is expected. This application has saved time and made it easier to reach the companies goal. The ability to handle multiple clients and their many online profiles. My only complaint is how SR deals with Instagram. I know IG isn't letting third-party software publish on behalf of clients. That being said, SR still fails in this department. The mobile app, which is where I would expect to publish, just drops the ball. It is difficult to use, doesn't give reminders/notifications and is not at all intuitive. If SR could replicate the way Buffer handles IG, it would be perfect. I would also like to see more integrations with SM platforms (Active Rain, Bigger Pockets, Zillow, etc...), but that is a back burner issue. Finally, it would be great to purchase more Automation options without upgrading plan size. I do not need more than five Brands, but could use more Automating. I enjoy it and would recommend it to others. As a freelancing social media manager, I needed to able to manage many clients without signing in and out of a dashboard. SR was the only platform I found that allowed me to do this without charging more than $50. In addition, the analytics are wonderful. "Great management and reporting platform"
The reporting and analytics are fantastic with Social Report. It was the reason I switched and the approval process is very helpful as well. I have multiple accounts, with multiple businesses, this is the way to go. I wish that posting on instagram would be easier. Most times I need to copy and paste content a couple of times in order for it to work. I need to disconnect a phone that is linked to the Instagram account and I have not found a way to do so. I currently have to double click on the profile to be able to select a new phone and schedule the post. Also posting to Instagram 1st comment never works. Also there is no way to automate response to google reviews, no way to respond to yelp reviews and Tripadvisor. Get a months work done in less than a week with an easy process! Having the professional analytics to give my clients! We create all social media posts for clients, and the clients can approve/decline/change the posts inside the platform. No more 'back and forth' with comments and changes. Definitely a huge time saver. "The BEST Social Media Management and Analytics Tool"
Before choosing Social Report, I looked into EVERY other social media management tool - Sprout, Hootsuite, AgoraPulse, Oktopost, Buffer, Sendible, Zoho Social, Social Pilot, Falcon.io, and more. I researched them all intensely and did trials with each one. They're all great, but none of them had all the features I needed. Whichever one I chose, I was going to be settling and having to do without crucial features. Social Report has every single feature I needed and more. It was like combining all of those other tools into one comprehensive, all-encompassing system. Go to the website and review all of the features. Sign up for a trial and see for yourself. Watch the tutorials to get a full idea of what it can do. If you want to ask me anything, feel free to leave a comment. Regarding customer service (others have commented on that), I've never had a problem. I suppose it depends on how quickly you need or want a response. I usually get a response within 24 hours. So no, it's not instant and they don't have live chat. For me, I've never need a response faster than I've gotten one. - The analytics are intense. You're getting A LOT of information. It can sometimes be overwhelming. - The app could do with some serious improvement. It's only purpose now is to send Instagram posts to your phone so you can post them. Look at the price and look at the features. There's no comparison.No other tool does what Social Report does. Social media management and reporting is time-consuming and there are a lot of moving parts. Social Report saves me time and gives me the data I need to dig in and get answers to questions. "Dollar for dollar the best I have used"
The functionality and range of use for the price simply can not be beaten. A large amount of data you can gather in a clear manner is amazing. Also, error-free posting and scheduling. In about six months of using social report, I have yet to see a bad link or unposted image attachment, unlike every other major platform I have used. Ease of use can be a little bit better. I have trouble sometimes moving between profiles, occasionally some functions cause you to log out to use such as some help functions. This can be greatly improved upon. Keep working on the functionality. It is getting better, the last update helped a little, but I would recommend a lot more research into this, and then take some steps to implement them. I can schedule much easier, across the platform, including Instagram and I can gather enough data from social report features alone for all my client's needs without having to look in multiple places. "Best Bang!! For Your Buck...Anywhere"
Social Report is the most feature rich platform for the money than any other platform out there, and I have tested most (if not all) of them. The reports are fabulous. I wish the interface was a bit updated, but honestly for what you get, there is not much to dislike. There is a learning curve, but the videos make it easy to learn, and when you use all of the features, your social management is over the top efficient as well as thorough. Clients love the quality of the reports, and the direct scheduling and posting to Instagram (including the 1st comment) makes everything about handling social media so much easier. "The BEST Tool for Social Media Companies and Agencies"
Social Report has been an absolute game-changer when it comes to how we run our social media business. Managing 25+ platforms can get overwhelming fast, so one of my favorite features is the Social Inbox where my team and I can ensure comments and DMs don't get lost in the shuffle! The UX experience is fantastic and I appreciate the support from the Social Report team if we need help using a new feature. Overall, this tool has by far the BEST and most comprehensive social media reporting that I've experienced, Sprout Social, Buffer, and Hootsuite can't even compare! There are so many features, it's hard to know if you're using all of them properly! Comprehensive social media reporting was done in bits and pieces from various tools, so having one place that pulls a full report is fabulous. Content groups are something my team and I are just now taking advantage of and we're so excited to share the data with our clients so they can see what kind of content performs best. "Everything the others have and more!" I can't choose just one ... the robust reporting features, the ability to post to all the platforms I need to with just one tool, the ability to include IG hashtags as a comment, bulk uploading, content queue and evergreen content, direct publishing to IG, adding my brand to the top of links I share, the ability to manage 25 accounts at one very reasonable price, multiple projects under one overall account, the 30 day trial, ability to post to google my business ... the list goes on! The UI is a bit bulky. It's not the most streamlined or most beautiful out there. But, they've recently updated it and I can't wait to see what improvements come next! Do the 30 day trial and really test out all the features. You won't find anything else that's as robust. Managing all of my client's accounts under one account but with separate projects is awesome! The reporting tools are fantastic as well! "Who knew you could do all this in one software?!?!" I LOVE the fact that I can have different projects in one log in. I love that I can color code my different content so that I can see where I am lacking in postings at a glance. I love that it will all be in one spot. And I love the reports option! I can schedule them to generate on their own and then just grab them for my clients. I can tailor the reports on each client ONCE and it automatically creates it for me on the SAME day of the month!!!!! I would love to add an image to the report so that they are branded for me or my clients. Social Report helps me automate more of the back end stuff so that I can focus on creating better cotent for my clients. I dont have to worry about trying to figure out what content is for what type of posts, it is now automated with the color code system and I dont have to worry if I did the report for a client (I hate doing them) and now they are automatically done...and they get EMAILED to me!!! "We found our all-in-one Social Media Management tool!" We really like Scheduling Posts, especially when using the Green Content Scheduling feature. An amazing discovery that was made at the beginning of the Social Report, implementation were the Link Frames. We feel it adds a unique feature that is hard to find. Other liked features include. One of the areas to improve is the limited functionality with LinkedIn... but we understand that agreements between Social Report and LinkedIn may impact this. I see it is improving, however. Thankful for the video update for LinkedIn. We would recommend for others to try out Social Report and begin to use it. Try to incorporate many of its features. There are many features in Social Report, so testing these out can lead to some amazing discoveries. It did in our case. We have found that Social Report helps us understand the best times to post, what kind of posts work best for our specific audience, and insight into our audiences' demographics. * We monitor all Social Report reviews to prevent fraudulent reviews and keep review quality high. We do not post reviews by company employees or direct competitors. Validated reviews require the user to submit a screenshot of the product containing their user ID, in order to verify a user is an actual user of the product. Hi there! Are you looking to implement a solution like Social Report?